Mijn naam is Martien van Steenbergen en ik ben in 1958 geboren. Agile, Lean en open source zitten in mijn bloed, in mijn DNA. Ik assisteer organisaties en teams lenig en wendbaar worden en zijn door ze te leren vissen, niet door ze elke dag een vis te voeden. Ik leer je dus de kneepjes van het vak van wendbaarheid op elk schaalniveau. Mens en organisatie inspireer, educeer en faciliteer ik naar grote hoogten, mits ze willen en er voor open staan. Ik ben pas tevreden als het geheel bruist en mensen lekker in hun vel zitten en het geheel goed uit de verf komt. Minder doen, meer bereiken , precies dát leer ik jouw organisatie, zodat je het daarna zelf kan. Dat ‘leren’ is een delicaat mengsel van training, coaching en hofnarschap. Voor de goede orde, ik put mij uit in luiheid—je zult het dus helemaal zelf moeten doen. Ik beperk me tot assisteren. Door de wol geverfd tijdens het coachen van agile transformaties bij onder anderen Sun Microsystems, ING, Rabobank, NN, Nipo Software, Philips, Nedap, NPO, PharmaPartners en TomTom kan ik jouw organisatie de kunst van het wendbaar worden en zijn leren. Anderen zeggen dat mijn trainen en coachen meer van het andere, verrassend, interactief, intensief, prikkelend, met oprechte interesse, aandacht en hulp voor alle deelnemers is. Samen met o.a. 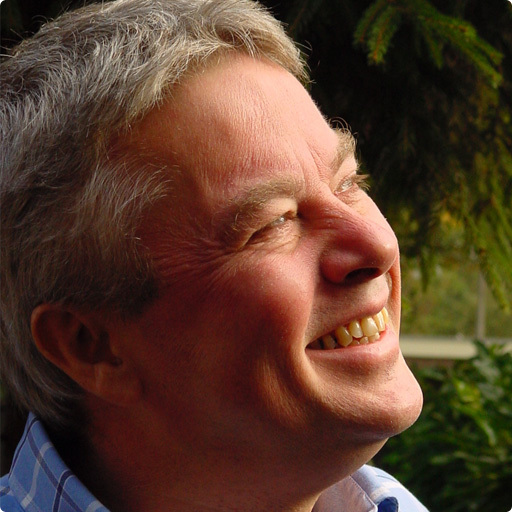 Jeff Sutherland, geestelijke vader van Scrum, heb ik de afgelopen jaren honderden mensen opgeleid tot Certified Scrum Master. Neem contact op als je durft. Martien is a passionate and thoughtful agile coach. A common failing among coaches is a descent into zealotry and associated stagnation, but Martien deftly avoids this pattern by constantly exploring new practices, techniques and philosophical frameworks for the methods that he employs. He is not afraid to try new ways of doing things, which makes it easy for him to fit his approach to clients’ specific needs. He is a strong, engaging trainer and an eminently approachable coach. I worked with Martien during a Kanban implementation for a SAP internal project. Martien is a very dedicated, authentic and senior agile coach and trainer. He has the right feeling how to deal with resistance inside a team and how to steer it into the right direction. I really enjoyed working with him. Martien is a consultant who loves the concept of flow. Flow both in work items and in flow related happiness. During my time as a Scrum Master at TomTom I saw him organize a successful “POSM Day” for Product Owners and Scrum Masters. Het did not forget to include—this is typically Martien—a jazz combo for our enjoyments during the breaks. I love Martien’s strong action. Martien is sociable, has a lot of coaching knowledge and draws great signs and flip charts. Martien tells very inspiring stories and is a sharp analyzer, with attention to self-knowledge and self-development. I love vegetables, and Martien made me a fan of what he calls, “Life is a broccoli”, despite the poor yield per m² (personal experience). Martien is one of the best trainers I have worked with. He is able to whip up his audience to a high energy level, with seemingly almost no effort on his part. He stimulates original thinking and challenges the current state of affairs. I learned from him what interactivity in a training is all about and how to put it to use effectively! As a complete Agile rookie I joined the Xebia Agile coach training, facilitated by Martien. Guided by theory, day to day examples everybody could relate to, and great visuals by his hand, Martien gave me a lot to think about. Even better, he provided me with tools I could put into practice immediately. Although I really feel I have grown a lot since the first session, I now have the nice challenge to put the things I have learned into practice to keep on developing myself as well as my team! Life is a broccoli! It all started with an alignment session on Agile/Scrum methodology, with us all being on the same level of understanding. I like Martien’s positive energy together with a lot of real life examples. Martien is eager to support and intervene when necessary. Martien takes our advice to sometimes hold his horses immediate into account. I liked the energizers he used, which we also took on-board for our own sessions with direct reports. We have built our own big toolkit, which is very useful in our Agile journey. Martien, you made us becoming a team! The mirroring exercises are great and give me the inspiration that ‘being me’ needs to be worked on every day. I’m looking forward working together with you in the near future exploring the unknown that brings us further in life. 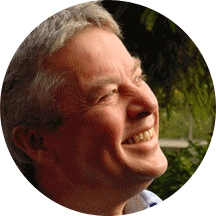 Jeff Sutherland—CEO at Scrum, Inc.
Martien and I worked together for several years as co-trainers for Certified Scrum Training in Amsterdam. He is an excellent and knowledgeable Agile Coach and Trainer and both the team level and the organizational level. He has also been a great asset to the Scrum community organizating, promoting, and speaking at events. As a result of Martien’s Agile Coach training I now feel more able to coach as I can use not only the “toolkit” but also learned so much from the way that Martien presented and ran the training sessions. Now I can see the whole Agile Coach elephant in the room. The training days were full of energy and often triggered new insights as well as positive discussions in our group; this helped us a lot to become a team and not just a collection of coaches. Martien is a person that stands out in a group. I have experienced him as an interesting, inspiring colleague who is different from others and uses that as an valuable asset. His way of coaching and teaching, although somewhat overwhelming at times ;-), will almost always cause people to open up to new insights and ideas. At the same time, Martien expects to learn from the people around him and is open to different and/or new ideas. I was on a 10 day coaching journey with Martien. It took me some time to get acquainted with his personal and unorthodox coaching style. Martien constantly questions everything, including himself. He meanders a lot but never looses sight of the end goal, which is making his students better individuals and stronger professionals. I learned a lot from Martien both on the theoretical and practical side of things. I would definitely recommend him as agile coach or trainer.